As long as I can remember, I wanted to be in business for myself. Starting with parking cars in my yard for the Professional Football Hall of Fame games every summer, pop up t-shirt companies, coaching and athletic training and ultimately an outsourced sales & marketing firm under an exclusive contract with Verizon Fios. It almost seemed right when the opportunity for me to open up shop in Wellesley, MA came about by way of an investor I was working for at the time. I was motivated, proud and very, very new to this but I didn't let that get in the way. I knew how to do my job the best of anyone prior to, so I viewed this with the same set of goggles: set the pace, share what was working for me, and make myself available. I'll get right to it -my goggles were a little foggy. "A fish rots from the head down." As the commander-in-chief of my company, any and every outcome would be directly my fault. I loved that idea because in every experience leading up to this, I crushed it, so naturally I felt this would follow suit. Not exactly, a fish rots from the head down (thank you so much for having this conversation with me, Donte Chaffat). I didn't understand why week after week, month after month, I was continually the lifeblood of deal-flow for my business. I was a consistent salesman, proficient in training and transferring knowledge, and I was sure my guys knew their product inside and out but they just weren't pulling their own. While I could pull up a chair and wing a meeting I hadn't really prepared for. My team on the otherhand couldn't, but they saw me do it. Taking my time to the field because I knew I could close quick sales was my go to move but wasn't a replicable move. Each and every time I was last out of the office, my guys saw that too. 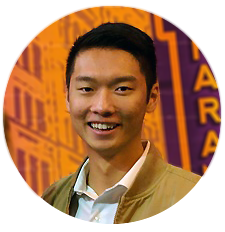 I was completely ignorant to the fact that as the founder of the company, I would obviously put in the most effort to keep the lights on and the doors open and my team would reflect a mere 70% of that just naturally. My half-assed effort was not setting the best example. Business was starting to taper off and the stench had pervaded through the organization. My job, more than to generate clients or win every pair of Celtics tickets from Verizon, was to lead my team. After constant denial, I had to rerun every instance where I could have done better to analyze and determine what the problem was... me. Setting the example means you may have to do things differently than you like to or do best. I was used to working on the fly, make or break scenarios, but that wasn't a replicable nor scalable approach. If I could go out and create more than half of the businesses revenue myself in any given month, that was great. However, there is clearly more value in having a team of 5 each be able to do 20%. 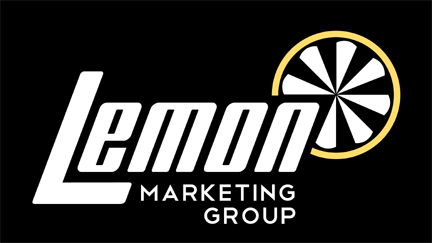 Deciding to close the doors of Lemon Marketing Group stung for quite some time but I had to debrief the experience and determine what to embrace moving forward and what to never do again. After many long days and nights I was able to come away with two key points. Simplify your actions, goals and explanations to such a degree that ANYONE can replicate it. Nobody else is you, so keep it simple! Over influence in such a way that the behaviors your team will inherently pickup are the right ones. These are pretty basic best practices but can be easily overlooked when juggling many responsibilities and "already have our way of doing things". While many of us are well into our careers and have seen plenty success, there is nothing wrong with revisiting the basics. In any leadership position, if you can replicate what you do well, you will find success one way or another. Always keep in mind, if something stinks, start with the top. Every organization takes its lead and direction from its leader. Each and every action should be in direct correlation with how you'd like to be remembered every single day. I hope my reflection on myself and my first company adds value to your work and your company.